Storey Publishing, LLC, 9781612121604, 424pp. 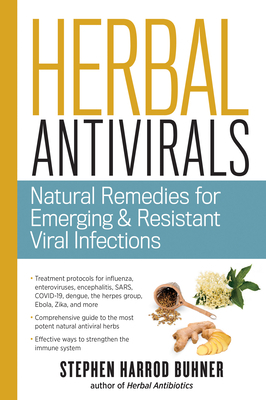 Stephen Harrod Buhner is the author of Herbal Antivirals, Herbal Antibiotics (now in its second edition), and 17 other works including Herbs for Hepatitis C and the Liver, Sacred Plant Medicine, The Lost Language of Plants, The Secret Teachings of Plants, and Ensouling Language. He speaks internationally on herbal medicine, emerging diseases, complex interrelationships in ecosystems, Gaian dynamics, and musical/sound patterns in plant and ecosystem functioning. He is a tireless advocate for the citizen scientist, the amateur naturalist, and community herbalists everywhere. He lives in New Mexico.